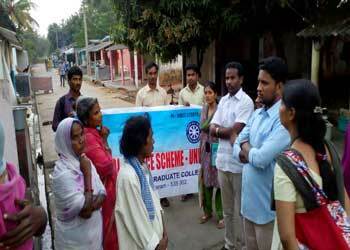 A women welfare centre is constituted to councel women students of the college. Its office is situated in a room in the administrative block of the college. The coordinator of this centre looks after the welfare of women students and organises various literacy and cultural activities for their personality development. The coordinator meets the students periodically and offers councelling about academic/personal problems of women students of the college. Any gender based harassment can be brought to the notice of the coordinator, who will attend to such complaints immediately for necessary remedial measures. The centre celebrates such functions as Women's Day, Mother's Day etc by organizing seminars, lectures and competitions among the women students and award prizes to winners. The college has an exclusive waiting room for girl students with hygenical toilet facilities.